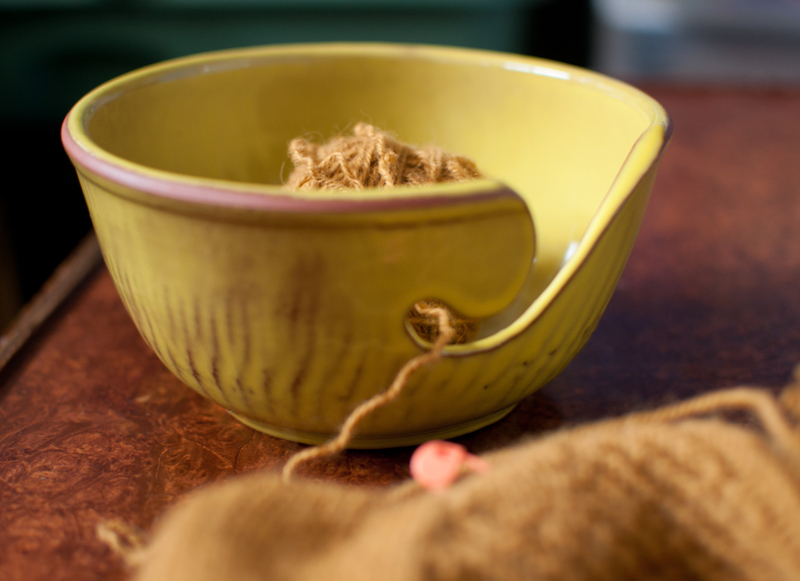 I loved my first yarn bowl. I sang it’s praises to other knitters, I featured it in many blog pictures, and I used it all the time. Well, sadly, it got bumped off of the coffee table a couple of months back and met its end. It was made by a local artist, and I found her on Facebook, but she never replied to my message about purchasing more of her work, so I decided it was time to move on. 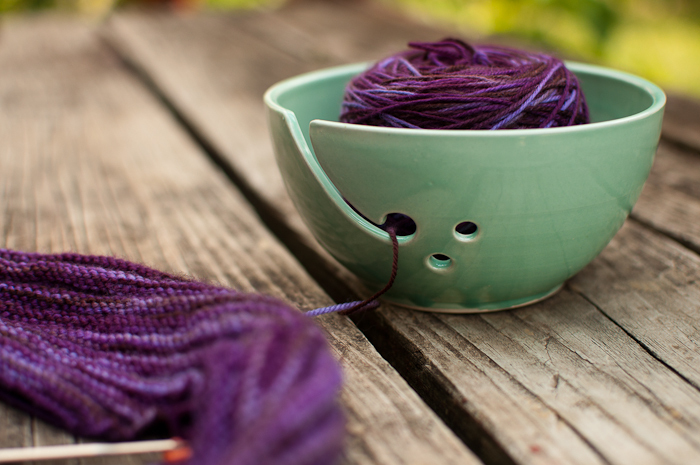 Meet my second yarn bowl.